I read this article and found it very interesting, thought it might be something for you. The article is called Inside The Toolkit: My Gmail Setup and is located at https://www.ben-johnston.co.uk/inside-the-toolkit-my-gmail-add-ons/. It’s been a while since I wrote about anything productivity-related here, so I’m going to be putting together a series of posts about tools I use to help me get my job done, but if you know me, you know I’m not going to put together the usual “Open Site Explorer, Raven, Basecamp” posts. Instead, I’m going to be taking you through some of the plugins, add-ons and extensions that make my tools work that little bit better. Since email is one of the banes of the modern world (you can see my inbox zero post for some insight into how I handle it), and since it’s pretty much essential for link building, I’m going to start with my favourite Gmail add-ons. Yes, Boomerang is still one of the most important tools in my arsenal. Whether it’s for chasing up link requests, making sure something from real life (you know, that thing we do sometimes when we get away from spreadsheets) is handled, or just setting an email to go when a response will fit my schedule or when its arrival is less likely to get lost, Boomerang is an essential add-on for Gmail. Aside from scheduling emails, Boomerang can be set to send you a message if you haven’t received a response within a set time period. Sending a link request or asking someone to help you out with something? I generally set that to a week. Need something important from someone in the office? Set it to an hour and go and bug them if it doesn’t come through in time. Depending on your email volume, you can get free accounts, but I’ve started paying for the premium account on my personal email – it’s just that useful. Whether it’s link building, trying to get the boiler sorted out at home or having an email chat with a friend, information is always handy, and that’s what Rapportive gives you. All you have to do is sign in and it’ll give you all the social network profiles of the person you’re emailing. Want to see their latest Tweet or Facebook status? It’s there. I also cannot overstate how useful the profile picture element of it can be – believe me, having the picture of the person I’m emailing up on the screen is a great way of avoiding the “it’s late, I’m tired, oh no I sent a crude email meant for a friend to my mum” situation that I’m sure we’ve all experienced. It’s also really handy for link building, especially if your target doesn’t publicise their contact details. If you’ve got Rapportive, you can work through the usual permutations of their name and if you see a profile picture and social network feed come up, you know you’ve hit the mark. Rapportive is a free Gmail add on and you need it in your life. 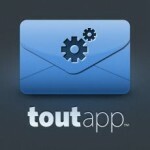 Tout is another scheduler/ canned response app for Gmail that markets itself as being for sales pro’s. To be honest, there’s a lot of crossover with Boomerang on its functionality, but it has a couple of features that make me keep it around. Firstly, it has a handy contact finder feature. Although a lot of the tools I use at work have that, it’s nice to be able to find addresses straight from the site in question. Secondly, it does click tracking, which is ridiculously useful if you are link building and want to make sure your target actually looks at the page you’re trying to get them to link to. I have a couple of templates set up with Tout to handle responses to annoying “can I buy a link from you?” messages (you can’t and if you’re even half-competent, you won’t want to anyway), but other than that, it’s really only used for click-tracking and contact hunting when I’m in a hurry. Yep, it’s Boomerang again. As much as Google annoy me sometimes (not provided keywords, anyone? ), I do use a lot of their stuff due to being an Android owner. That said, I do find it a bit irritating having to leave Gmail to get to my calendar. In fact, I’d say calendar integration is the only thing I prefer about Outlook. 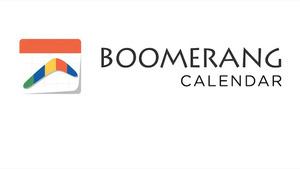 Boomerang Calendar takes care of that for me. It syncs with Google Calendar, so all my stuff is still able to be shared across my devices, but having it inside Gmail really cuts down on the time I have to spend setting things up. If you’re stuck using Outlook at work, there’s a handy tool here that’ll link the two up, meaning you can still sync all your work appointments and such forth without having to manually do it. Again, Boomerang Calendar is free and well worth having. So there you have it; most of the add ons that go into my Gmail setup. If you’re serious about becoming a Gmail power user, there’s a great course here that will take you through a lot of its other features. How about you? Any add-ons or tricks I’ve missed? Let me know in the comments.